KMG is pleased to be a much-valued supporter of Devonshire House. Devonshire House is delighted to include KMG amongst our Friends, Partners and Sponsors. KMG has been a keen and active partner and much appreciated supporter of Devonshire House from the moment they joined Devonshire House in 2014. KMG Independent Ltd provide bespoke investment management and financial planning services to both individual and corporate clients, offering clients a truly personal and holistic service. KMG have offered fee based, expert independent advice for over half a century and are based in Surrey. 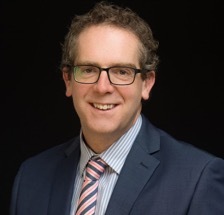 Nick has spent much of his 17-year career, the last six with KMG, helping clients find their way through the changing and often bewildering world of personal finance, and is qualified to provide advice across the spectrum of investment and financial planning. 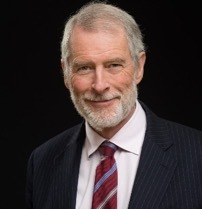 As well as sitting on the board at KMG, Nick is a member of KMG’s investment committee, whose remit is to consider the global macro picture and make tactical geographic and asset allocation decisions with the aim of providing positive returns whilst minimising downside risks for KMG’s significant funds under management. Nick is currently training for his 5th marathon and working towards a 100km run in May. With a masters degree in chemistry and a background in pharmaceuticals and FinTech, Gemma brings a different perspective to KMG’s investment strategies and client relationships. She also sits on KMG’s investment committee and, though our office is based in Surrey, Gemma is based in London where you will find her in a rowing boat at weekends. If you are in need of financial planning advice or want to learn more about the variety of services KMG can offer, please visit our website. To read more, see Patrick McIntosh’s “View From Davos” here. Patrick Mcintosh, adviser and director at KMG as well as triple cancer survivor will begin his latest challenge for our company charity, the KMG Foundation, in Spring 2019. He will cycle from Twickenham rugby stadium to the Rugby World Cup in Japan to raise awareness about the importance of exercise, good diet and early diagnosis to help us win the fight against cancer. You can follow his trip and help the great cause here.